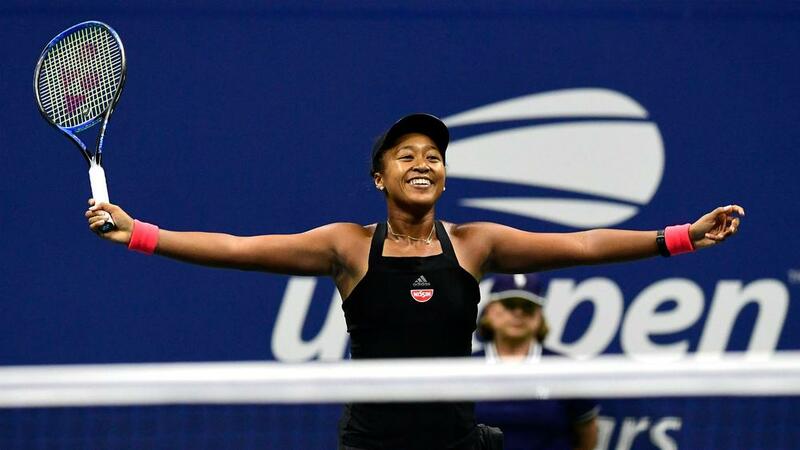 Kei Nishikori believes compatriot Naomi Osaka is capable of staying with and beating Serena Williams in the US Open final. Nishikori's challenge at Flushing Meadows was ended as he succumbed to a straight-sets defeat to Novak Djokovic in the men's semi-finals on Friday. But there is still Japanese interest courtesy of Osaka, who has dropped only one set in progressing to the women's final, which she reached with a 6-2 6-4 defeat of Madison Keys. She defeated Williams in Miami this year and will hope to prevent the American from levelling Margaret Court's record of 24 grand slam titles with her first major triumph on Saturday. And Nishikori has every confidence in the 20-year-old, telling a media conference: "I think she's going to be fine because I was watching yesterday [Thursday], too. She was really enjoying playing great tennis all the time. "I was really happy to see she was playing unbelievable tennis. I'm sure she is going to have chance to beat Serena. "She's playing different level. I think now she can stay with her. I hope she can enjoy and play a good level." Nishikori was looking to repeat his run to the 2014 final in New York but fell short as Wimbledon champion Djokovic prevailed 6-3 6-4 6-2. Djokovic finally appears back to his best following his well-documented prolonged fitness problems, and Nishikori said of the Serbian: "He was playing very solid everything: serve, return, groundstrokes. "He was playing aggressive. I didn't have the energy to stay with him. He was hitting side to side. It wasn't easy to stay with him." Comparing Djokovic's performance to the 13-time major winner's play at the beginning of 2018, Nishikori added: "He's playing better everything. He's staying more solid and not giving many free points. Just less unforced errors. "From when we played last time on the clay, he's definitely playing better. I'm sure he's in good shape now."